Updates to GISELLE's profile since your last visit are highlighted in yellow. I loved the Spanish classes and also the class called "college typing! GISELLE CHESROW THAYER posted a message. 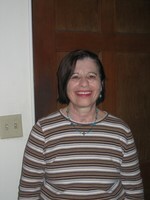 Giselle Chesrow Thayer 50 years later!